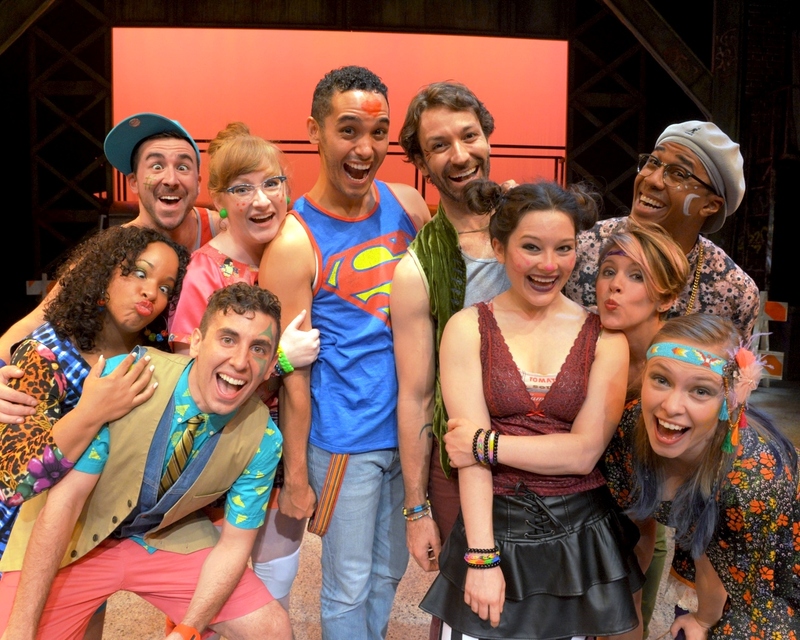 The Westchester Broadway Theatre in Elmsford is now staging a revival of Godspell, the classic 1970s era off-Broadway musical written by Grammy and Oscar award winner Stephen Schwartz. His credits go beyond Godspell and include Broadway hits Wicked and Pippin. He also collaborated with Oscar winner Alan Menken on the scores for such films as Pocahontas, The Hunchback of Notre Dame and Enchanted (all Disney films). This version is not stuck in 1971 but has been updated to 2015 with references to the Kardashians, Donald Trump and even Obamacare. The humor of these references helps break the seriousness of some of the scenes. 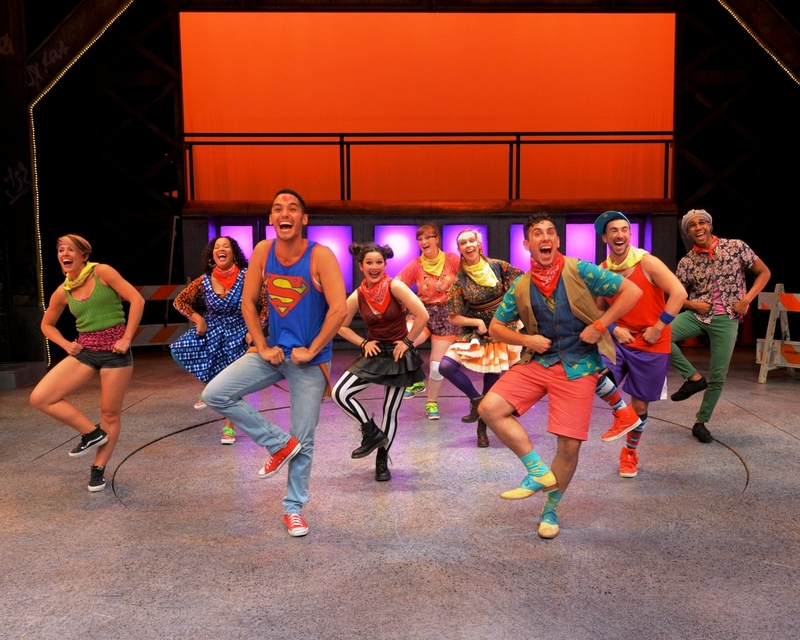 The story is further lightened by the excellent and lively ensemble of actors who sing and dance their way with high energy through the performance. In one of the numbers, cast member Devon Perry shows off her skills by playing piano on stage. The talented company includes of Actors Equity performers includes Kareema Castro, Xander Chauncey (as Judas), Josh Kenney, Greta Kleckner, Nicholas Park, Devon Perry, Nathan Andrew Riley, Gilbert Sanchez (as Jesus), Corinne Scott, Sarah Smithson, Karley Willocks and Jonathan Stahl. Come and celebrate the Best of Westchester Party, hosted by Westchester Magazine. This fun filled event will have Westchester’s best offerings, from top restaurants to the finest services in the entire county. This annual gathering takes place at Glen Island Harbour Club in New Rochelle on Wednesday, July 22nd. This exciting night will feature samples from restaurant winners in numerous categories and services such as salons offering mini massages! Other catagories include best cinemas, best golf course, museums, galleries, best contractors, landscapers, bath and kitchen designers, boutiques, best book stores and more. 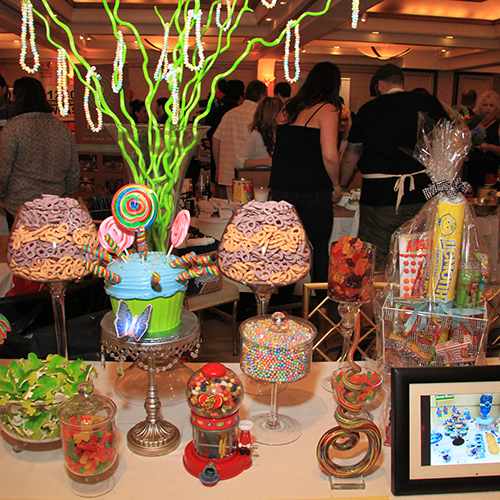 The Best of Westchester Party is an evening you don’t want to miss. Dance, socialize, sample great foods and meet the 348 winners at this grand gathering.